Chocolate for breakfast? Uh yeah. This is my jam. Vegan lifestyle is boring? Hell no! Along with my Matcha ice cream and Peppermint ice cream, this is my all-time favourite "nice cream". 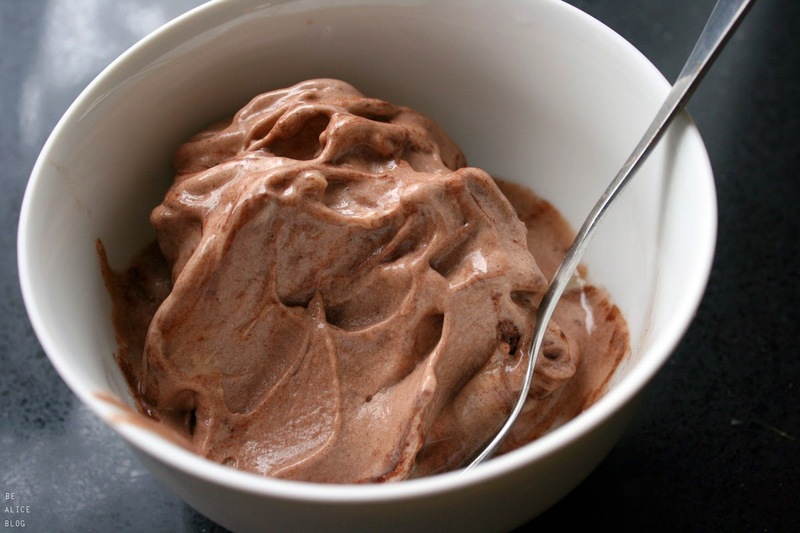 Who needs chocolate candy if you can make your own 100% plant-based healthy chocolate ice cream?! i mean, seriously. Combine banana pieces and sweetener, if needed, in your blender. Blend until a thick smooth consistency forms. Add in your cocoa, or carob (which is the caffeine-free "equivalent" to cocoa) and blend for another few seconds for everything to meld together nicely.